Laparoscopic pancreatic surgery (LPS) has seen significant development but much of the knowledge refers to small and benign pancreatic tumors. This study aims to evaluate the feasibility, safety, and long-term outcome of the laparoscopic approach in patients with benign, premalignant, and overt malignant lesions of the pancreas. This study, currently, is the largest single center experience worldwide. One hundred twenty-three consecutive patients underwent laparoscopic pancreatic surgery from April 1998 to April 2007, 20 patients with cysts or pseudocysts for acute and chronic pancreatitis, laparoscopic pancreatic drainage was performed, and were excluded from the analysis. The 103 patients were divided based on preoperative diagnosis: group I, inflammatory tumors for chronic pancreatitis (eight patients); group II, cystic pancreatic neoplasms (29 patients); group III, intraductal papillary mucinous neoplasms (10 patients); group IV, neuroendocrine pancreatic tumors (NETs) (43 patients); and group V ductal adenocarcinoma (13 patients). The median tumor size was 5.3 cm. Pathologic data include R 0 or R 1 resection (transection margins on the specimen were inked). Perioperative data, postoperative complications, and resection modalities were compared using statistical analysis. Long-term outcomes were analysed by tumor recurrence and patient survival. The overall conversion rate was 7%. Laparoscopic distal pancreatic resection was performed in 82 patients (79.6%). 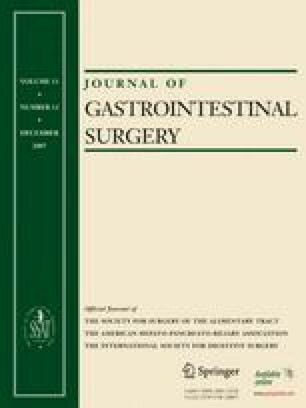 Laparoscopic spleen-preserving distal pancreatectomy (Lap SPDP) was performed in 52 patients (63.7%), but with splenic vessels preservation in 22% and without splenic vessels preservation in 41.5%. Laparoscopic en-bloc splenopancreatectomy (Lap SxDP) was performed in 30 patients (36.6%) and laparoscopic enucleation (Lap En) in 20 patients (19.4%). There was no mortality. The overall complication rate was 25.2, 16.7, and 40% after Lap SPDP, Lap SxDP, and Lap En, respectively. The overall morbidity rate was significantly higher (p > 0.05) in the group of Lap SPDP without splenic vessels preservation comparing with Lap SPDP with splenic vessels preservation because of the occurrence of splenic complications (20.6%). The overall pancreatic fistulas was 7.7, 10, and 35% after Lap SPDP, Lap SxDP, and Lap En, respectively; the severity of fistula was significantly higher in the Lap En group (p > 0.05). The mean hospital stay was within 1 week in all groups, except in the group of ductal adenocarcinoma, which is 8 days. In this series, 27 patients (26.2%) had malignant disease. R 0 resection was achieved in 90% of ductal adenocarcinoma and 100% for other malignant tumors. The median survival for ductal adenocarcinoma patients was 14 months. This series demonstrates that LPS is feasible and safe in benign-appearing and malignant lesions of the pancreas. We thank Tom Gorey Professor of Surgery in Dublin (Ireland) for the article preparation. Michel Gagner, M.D. (New York, NY): Thank you for the privilege of the floor. First of all, I want to congratulate Professor Fernández-Cruz for this nice series, 103 patients with tumors over a time span of 10 years. That is about one patient per month and it really demonstrates that using oncologic principles, you can operate on malignancy in about a quarter of those patients. Another testament to his skills is that there is no mortality in this series. In fact, if you look at the almost 15 years report of lap distal pancreatectomy, the mortality is extremely low; you really have to find and look in the series to find it. Mortality of lap distal pancreatectomy is in fact lower than hip replacement. So I congratulate him for making these statements. I had two questions, one that is philosophical and one that relates to techniques. Regarding the philosophy of all your indications, I agree with everything, with perhaps the exception of patients with IPMN tumors that have major duct disease. There it is recommended to do perhaps a total pancreatectomy or a duodenum-preserving total pancreatectomy. Perhaps this can be done laparoscopically, but this is going to be a bit difficult and will require excellent advanced technical skills. The other area regards all the malignant islet cell tumors, for example, gastrinoma, vipoma, and carcinoid. What we found in 1996 when we presented our findings at this meeting is that gastrinoma was very difficult to surgically treat laparoscopically because they had metastatic nodes, they had metastasis to the liver, and you may need to have a laparotomy to really deal with the multicentricity of this disease. So, perhaps you can tell us what are your lists of indications where you would rather do a laparotomy instead of a laparoscopy? Regarding the technical questions, first there is the 35% fistula rate with enucleation. That is probably twice as high a fistula rate as in a resection. Is it perhaps better to do a resection and avoid this fistula rate, or is the enucleation too close to the pancreatic duct and it is unavoidable in one-third of cases? Did the fistulae result in a prolonged hospital stay? If so, could you have avoided that by just doing a distal pancreatectomy? Finally, what was the length of the incision you used to resect a splenopancreatectomy specimen? In these cases, you could consider doing a hand-assisted procedure and maybe save half the operative time with mobilization using the hand, because if you make an 8- or 10-cm incision, then you could have your hand at the beginning of the operation. I enjoyed the manuscript very much. Thank you. Laureano Fernández-Cruz, M.D. (Barcelona, Spain): Thank you, Michel, for your questions. Regarding the indications of IPMN, all these patients did not have duct-dilated disease. For those patients, they do require, for most of them, a total pancreatectomy. And those patients that did have a branch duct type or a dominant branch duct type in the left side of the pancreas, we did perform a distal pancreatectomy. I think we should not do this operation in a dilated Wirsung duct from the head to the tail of the pancreas. I think, in this particular situation, a distal pancreatectomy is not indicated, open or laparoscopically. Regarding malignant tumors, we applied this technique in our series for malignant glucagonoma, malignant carcinoids, and also patients with gastrinoma. I think we can explore the lymph node area and to do lymphadenectomy as well as we do in open surgery, and there is no contraindication to use the laparoscopic approach for these tumors, either benign or malignant. Gastrinomas are very difficult ones because the tumors are located mainly in the duodenum, and in some patients it is difficult to localize the tumor, but if you have already localized the tumor, I think we can do the excision of the tumor using the laparoscopic approach. Regarding the fistula rate after laparoscopic enucleation, the mean hospital stay in this group of 20 patients after laparoscopic enucleation was 5 days. And although in some patients they had grade B fistula, they were discharged home with the drain in situ. And the reason why we classified those patients as grade B is because some of the patients needed the drain to be removed more than 3 weeks after the operation. But the postoperative course was very smooth and no patient needed to be reoperated or the need of radiological intervention for fluid collection. The fistula, after laparoscopic enucleation, in some patients, is because of the small ducts remains temporarily open. But in our series, we do believe we did not damage any pancreatic duct, by using laparoscopic ultrasound. We enlarged the incision and it depends how big is the tumor. We enlarged the incision between the trocars to remove the big tumors. Andrew L. Warshaw, M.D. (Boston, MA): Laureano, I congratulate you on the largest single series of laparoscopic resections of pancreatic neoplasms, and I comment from the point of view of the smallest single series because I have never done one. I tried once and I could not do it. My questions relate to the significance of your accomplishment. The postoperative length-of-stay of your patients was a week; your operative time was somewhat longer than an open procedure would be; and you must make an incision to remove the specimen. One of my teachers a long time ago said that incisions heal from side to side, not end to end, so maybe a little bit shorter does not make that much difference. What is the advantage of this procedure when all is said and done? That is question number one. Second, you encountered a significant number of splenic infarcts, perhaps a bit more in this series than in some others, but my question regards the clinical significance of those splenic infarcts. In our experience, only once or twice in more than 70 patients has it been clinically important or led to reoperations to remove the infarcted spleen. Most are small geographic lesions that usually have no significance. What has been your experience? Dr. Fernández-Cruz: I will start with your last question. I think a spleen-related complication is not frequent, but it occurs, and it depends how careful you check your patients. After a spleen-preserving distal pancreatectomy without splenic preservation, you can pick up patients with a focal splenic infarct and without clinical symptoms. However, some patients have abdominal pain in the left quadrant of the abdomen and even sometimes patients develop fever, and if you checked these patients you found a focal splenic infarct. Most of them are not clinically relevant, but some are, and I think it is important to look for these possible complications and to treat with antibiotics those patients before they do develop a splenic abscess.